Mango Milk Shake is the best, cool and tempting summer fruit drink! 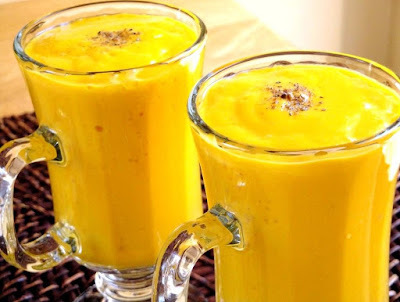 Season for mangoes and you can make mango milk shake at your home as it just energizes you, reduces hunger pangs and one is content with the luscious mango milk shake. This is a thick, Creamy, Yummy recipe of mango milkshake. Wash, peel and chop mangoes into small pieces, discard stone. Keep chopped mango pieces in a freezer for 20 minutes. 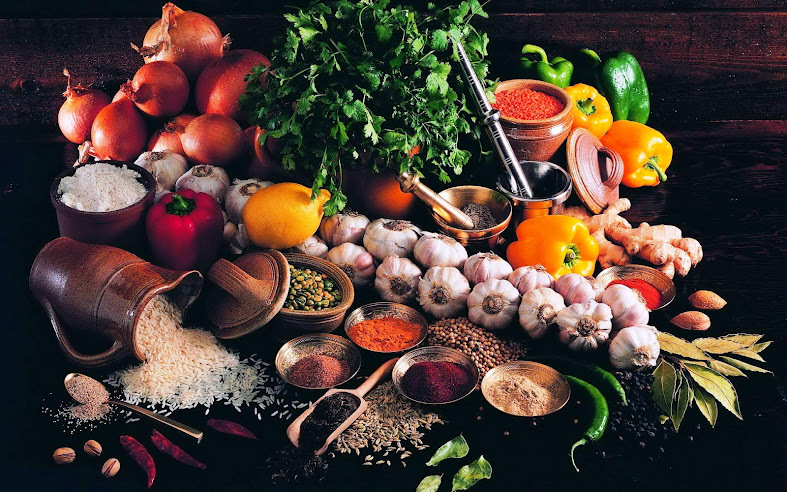 Transfer them to blender jar. 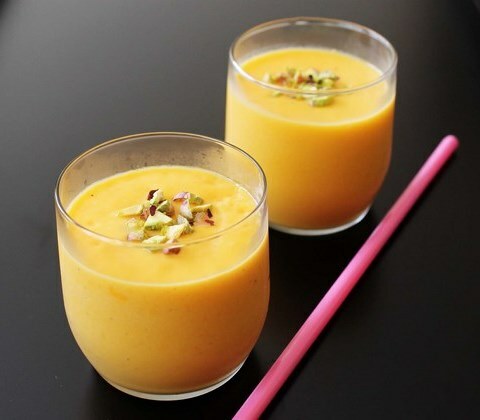 Add sugar (to taste or according to sweetness of mango) and milk. Blend until smooth and creamy and there are no mango chunks in it. Pour prepared shake into serving glasses, garnish with almonds and scoop of ice cream and serve. If you want to prepare this shake without waiting for mango pieces to be chilled, then add few ice cubes either during blending or after blending. 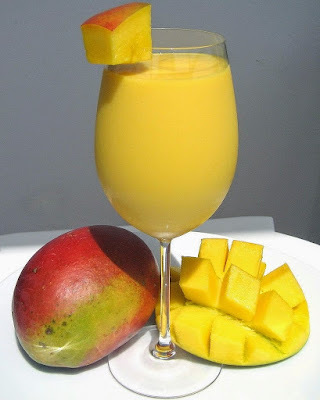 Use top quality mango which has lot of flavor and less fibers for smoother shake.